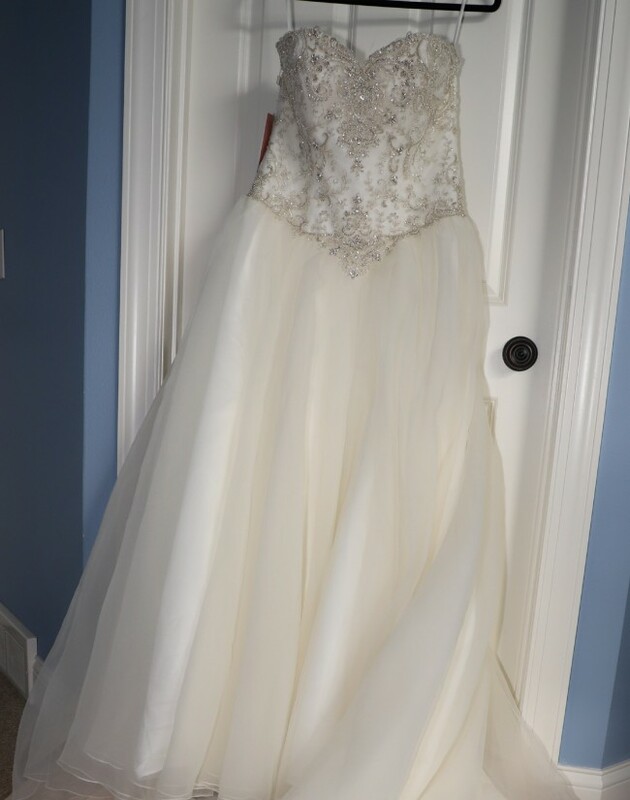 This is a brand new never worn, tags still attached, unaltered size 14 Casablanca style Marigold #2249 in a beautiful Ivory/light champagne/silver. This elegant ball gown boasts intricately beaded bodice with a flattering sweetheart neckline and a beautiful corseted back. The crepe organza skirt over satin flows into a chapel length train. This is a stunning gown. From a smoke free and Pet Free home. Swift replies to all questions.